Together, we do great things! A few weekends ago, I spent an afternoon helping my dad down at our farm in Rock Hill. My father, who is retired, still maintains a farm that goes back many generations. Actually, the land itself was settled by my family going all the way back to Colonial America. Dad has a couple of dozen head of cattle as well two horses. 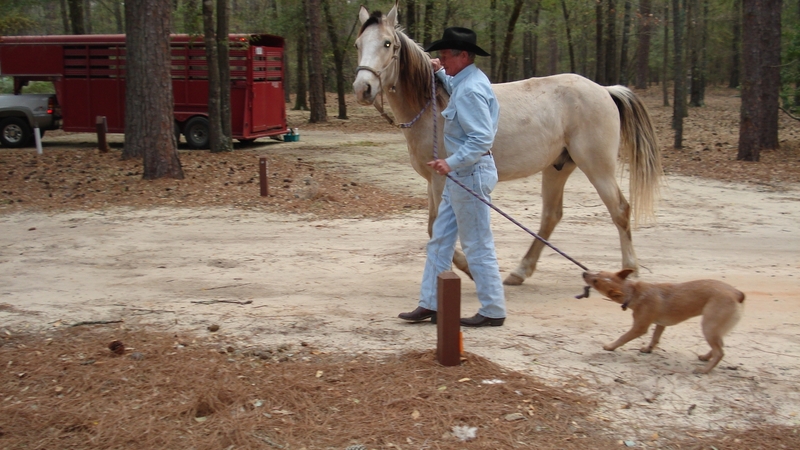 Duke, a quarter horse and Traveler, a Tennessee Walker, are his pride and joy. Dad rides daily and enjoys spending time on the land on which he was raised. This particular afternoon we were unloading a trailer load of hay bales when he shared with me how our Great Grandfather Morrison Russell used teams of horses to plow the grounds we now disc up with tractors. Dad told a story he had heard once in his youth about a horse-pull at the County Fair. That is an event where horses compete to see which one can pull a sled with the greatest weight. One year, a local horse pulled 4,500 pounds. The runner up pulled 4,400. Wondering what the two could possibly do together, the two horses were teamed together. They pulled more than 12,000 pounds! An increase of more than 33% over their individual efforts. While many of us are truly capable and talented, we are much stronger working together as a team. This past month was certainly a testament to that fact with a very successful Business Expo. While it was hot and we had a great many challenges, the staff of CPCC and our event management team transformed a transportation systems complex into an exhibit hall. It allowed us to showcase the “Best in Business”, network, and give our members an opportunity to build relationships and expand their customer and client base. I have been so fortunate to serve this Chamber of Commerce as the chief executive officer since 1996. However, each and every day, I continue to be impressed by the talent we have in the Chamber in the volunteers who serve in committee roles, our dedicated Ambassadors and staff, and the strong leadership of our Board of Directors. Each bringing a unique talent and perspective – but collectively, providing a resource that enables us to far exceed any goal or objective obtainable by a single individual or business. Whether it’s lobbing successfully to open Lake Norman for public access swimming, expediting the completion of I-485 or obtaining a magistrate for North Mecklenburg – we are certainly stronger working together. Time after time, our Chamber overcomes obstacles some see as barriers to create memorable events. It seems the more looming the challenge, the more resilient this chamber and its membership becomes. Last week’s article in The Lake Norman Citizen cited discussion among some community leaders about the most appropriate regional brand for the Cornelius, Davidson, Huntersville and Mooresville communities. These community leaders cited the ULI’s recent recommendations to revise our use of “The North Corridor,” to be more inclusive of Charlotte, as a mandate to revise our regional brand. As a member of the Lake Norman Transportation Commission, I believe the most compelling recommendation of the committee was to continue our collaboration, inclusiveness and regional cooperation. • Our proximity to Charlotte provides us with the arts and cultural resources that are the foundation for our excellent quality of life, and the Queen City’s corporate and business district is the heart of our economic engine. • Our transportation resources such as Interstates 77 and 85, along with Charlotte-Douglas International Airport, serve as the arteries which are critical to sustain our economic health and quality of life. Other Charlotte neighboring communities have the aforementioned resources, yet they have not quite enjoyed our economic vitality. So what’s the missing ingredient? The lake! • Lake Norman is Charlotte’s lake. It is our lake. It is more than the 520 miles of majestic shoreline on 32,510 acres. 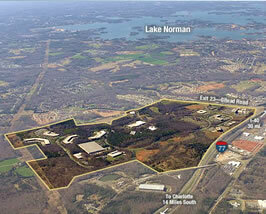 It is a region recognized as the best in business by Site Selection Magazine (Mooresville). It has received accolades from Business Week as one of the Best Affordable Suburbs in the Country (Cornelius and Huntersville). It is home to one of the nation’s finest liberal arts colleges. Our lake is recognized by sports and recreation enthusiasts as among the best lakes in the country. However, to many of us, it is simply the place we call home. I am reminded of the words of President John F. Kennedy, and I paraphrase — Those who look only to the past, or present, are sure to miss the opportunities of the future. — Lake Norman is that future. The article also cited Davidson residents who questioned whether an association with the lake was prudent in a proposed branding for the Town of Davidson. I attended that meeting and was astounded when another resident questioned whether Davidson College should also be deleted from the new campaign. The Town of Davidson distancing itself from Davidson College is as absurd as claiming residents of Huntersville do not recreate or benefit from Lake Norman. Lake Norman is the common bond that ties our communities together. It is a great place to live, visit and grow your business. The real strength of our community is the ability to see past the municipal and county boundaries that can become limitations for some. However, the only real limitations are those we impose upon ourselves. We will continue to grow and prosper because we understand that by working hard, working smart, and working together, there is simply no limit to what we can accomplish as a region! 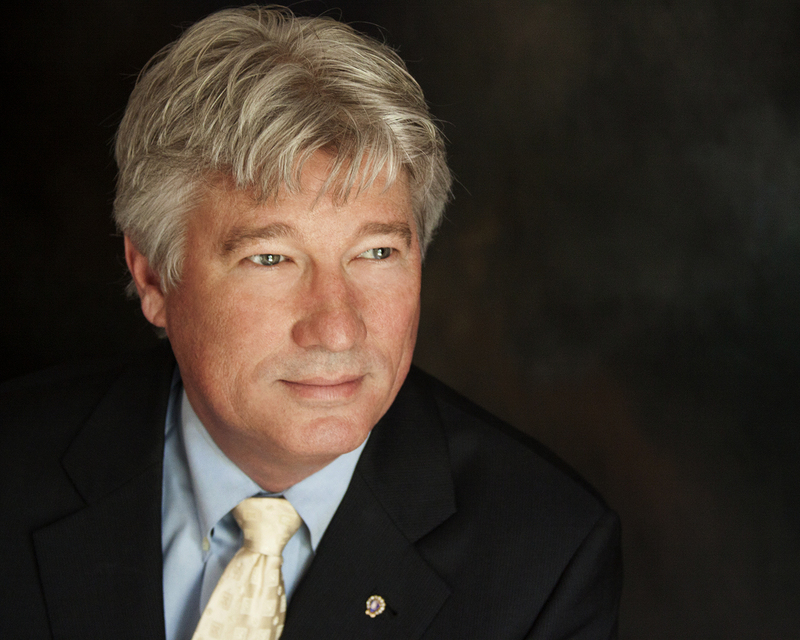 Bill Russell is the President and CEO of the Lake Norman Chamber of Commerce with 1,100 members in the Cornelius, Davidson, Huntersville, and greater Lake Norman region. This past month I was flattered when I was asked to participate in the Davidson Community Players’ production of Neil Simon’s “Barefoot in the Park.” A few local elected and business leaders were asked to do a cameo role as the out of breath Lord and Taylor delivery man in the first act While the cast was small – only five speaking roles – it is amazing what goes into a small production. There was the stage hand that helped me prepare for the role and the prop manager who had the costumes coordinated for the 1960 scenes. In addition, there was a stage manager in the booth who directed the assistant stage manager who actually gave the cue for the actors to take their mark – as well as the actors themselves. Behind the scenes were the people who built the set, the businesses who supported the production, the Board who coordinates the season and the list goes on and on with the successful production we were treated to a few weeks ago. It is old news that in June, Huntersville was ranked by Forbes Magazine as the 2nd best place to move to in America. This accolade coming on the March announcement by BusinessWeek that Cornelius was the 7th Best Affordable Suburb in the United States and #1 in North Carolina. Mooresville has been consistently ranked as the #1 Micropolitan Community by Site Selection Magazine and while Davidson as a town does not have the population density to be considered in national polls, the college has made a name for itself in both scholastics and athletics. Much like Neil Simon’s play, the success does not just lie in the talent of the performers. While those major characters are critical, everyone plays a role in the success of the production. The national recognition of the Lake Norman region is a testament to the vision and commitment of our community and business leaders, both now and those who have served. Equally important is the role that the crossing guard plays each morning helping the kids get safely to school and the teacher who educates them for the starring role they will play in our future. From the worker on the assembly line down at Prairie Packaging to the soccer coach teaching sportsmanship. The server who brings the meals and the housekeeper who cleans the room is as important to our hospitality industry as the Director of Sales who books the events and the owner who operates the hotel. The bottom line is that business, community, and elected leaders must model appropriate behavior at all times. Whether we like it or not – we are always being watched and evaluated. We often do not pick the times when we model our behavior for others to notice. When each of us arrive at work each day, whether we are the owners or managers of our business or organization or the secretary making sure the work of the business gets accomplished – we need to imagine a big red curtain opening. We must perform like a professional and like a good play, our actions will determine the success or failure of the production. In 1986, Janet Jackson broke through on the Pop and R&B Charts with a little ditty, “What have you done for me lately?” and that refrain has become ingrained in our popular culture today. We’ve all heard it – perhaps some customer or client feels your performance doesn’t measure up today no matter what you might have done yesterday. An employee is dissatisfied or feels unappreciated no matter what you might have done for them recently. Maybe it’s a family member who thinks you’re unreasonable despite the sacrifices you might have made on their behalf in the past. As a Chamber of Commerce representing 1,100 members, you are going to hear that line occasionally. It’s the reason we work so hard to make our membership aware of the programming and opportunities available to them. Last month, I was surprised when I attended a BusinessWorks program and at the conclusion, the co-chairmen announced they had come to the part of the program that was entitled, “What has my Chamber done for me lately?” It was led by Joe Carbon, who himself, was recently diagnosed with cancer. You might recall last month I wrote about Joe as the unidentified Chamber Member who compared this organization to a family. Joe talked about the outpouring of support in his battle to lick the “Big C”. There were few dry eyes in the room as we recognized how much he loved the folks in the room and how much they returned that feeling. Another member, Kevin Cole, spoke about how he saw first hand the seven touches of the Chamber. 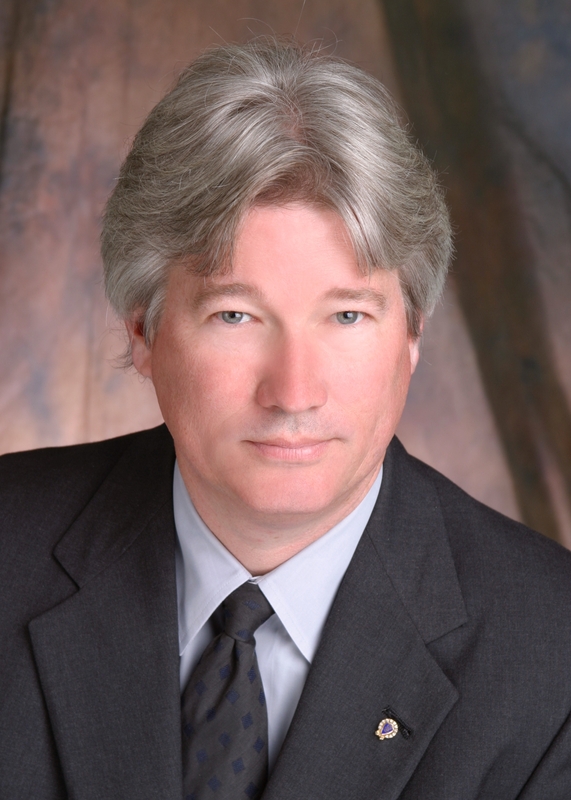 Nearly every client he had could be traced back to our Chamber. Members around the room talked about how the relationships they made in the Chamber paid off for their business and I left there feeling great! But none of that could compare to the conclusion of my week. That Saturday, I joined several hundred volunteers and boat hosts in hosting kids at Big Day at the Lake 5. I was the guest of Huntersville Commissioner Brian Sisson and his family as we entertained Charlene Whitaker (Big) and Zion Black (Little) on Brian’s boat and Jet Ski. At first timid, Zion really opened up and you just about had to pry her off the Jet Ski. All of the kids and their Big Brother / Big Sisters were then treated, along with the hosts, to lunch at the Energy Explorium. I had to leave early to attend Bob & Louise Cashion’s 5oth Wedding Anniversary. There, as I moved from table to table, person to person, I was enthralled with stories about how Bob & Louise had impacted our community over their lifetime together. I wasn’t surprised at the stories. I’ve heard them many times before and witnessed their community leadership firsthand. Their generosity is renown throughout the lake region. The Cashion’s have spent a lifetime of sharing their success. They have used the gifts God has provided and left their community a much better place than they found it. They are truly a community treasure.